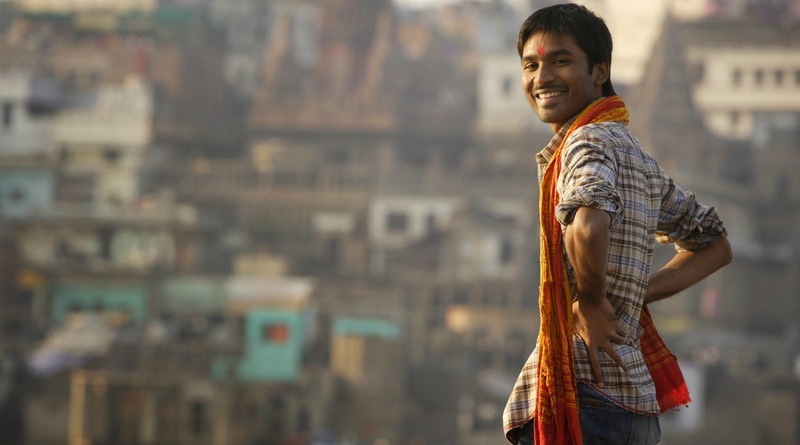 Admit it, we have all loved his performance in Raanjhanaa. And then of course, the country danced to his tunes, when this talented artist crooned "Why this Kolaveri di?" But, this versatile actor is much more than just that. For someone who was already a superstar down south, he made a rather quite and humble entry in Bollywood with the Sonam Kapoor starrer in 2013. A two year long wait (and a few more super hit films down South) later, Tamil industry's blue eyed boy, Dhanush is back with his second outing in Bollywood. And this time, he has scored a biggie with none other than Amitabh Bachchan. The promos of their stylish and intriguing flick Shamitabh are already creating waves. Ask him about his character in the film and prompt comes the reply, "Well, my character... (pauses) I don't know. You have to see the film to know about it. Yaar, what to do? You ask Balki. He has to be blamed for this, not me. I can't say anything." 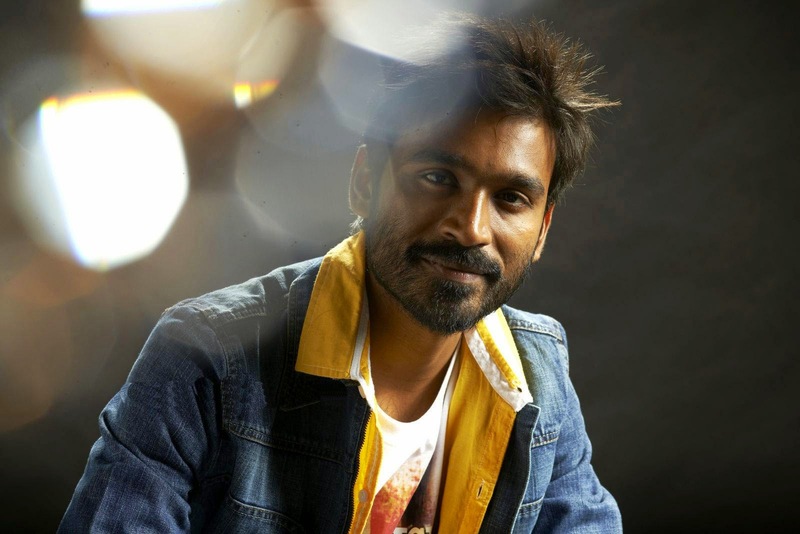 While they continue to build the suspense, within a week of Shamitabh's release, he will have another much anticipated Tamil film called Anegan hitting the screens on February 13. Dhanush fans, meanwhile, are going crazy on social media, praising the actor's look and dialogues in the two films. But this down to earth artist does not allow any form of hype or hysteria to affect his work. Very few actors of his stature have such dedication and honesty. And during one of our recent interactions with Mr. Bachchan, the legend too couldn't stop praising his co-star. Two films in two weeks in the same month. How excited are you? (Smiles) Well, the promotions for Shamitabh are on a bigger scale and since this film releases first, all my energies are focused on it. 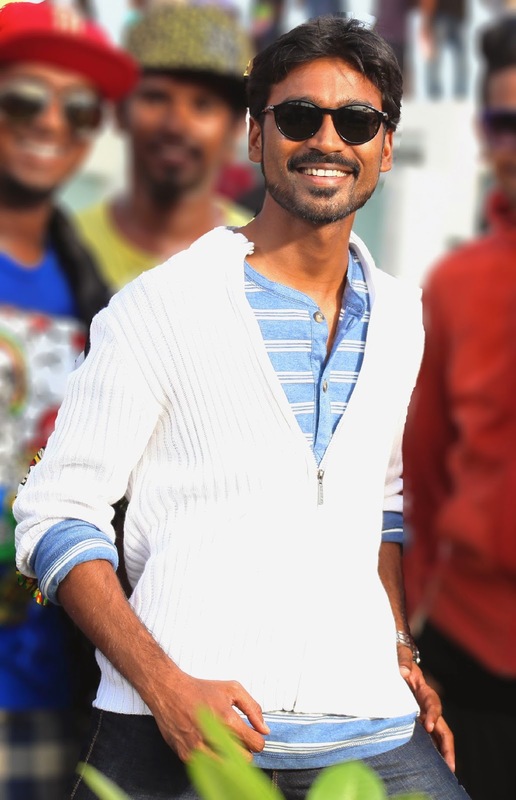 Once Shamitabh hits the screens, I will have a week to promote Anegan, which should be good. February couldn't have got better. I am very happy. Working with the legendary Amitabh Bachchan in your second Bollywood film must have been quite an experience. Working with him was nothing less than an adventure. I was very excited and thrilled. Each day on the set was like a learning experience. I observed him a lot. It was a phenomenal experience to watch the legend himself perform live in front of my eyes. With Shamitabh promos getting an excellent response, do you think the two year long wait worth it? Absolutely! In fact, I am just happy to be a small part of it. I couldn't have asked for a better second film. I have been trying to mix my characters as much as possible. But down South, there is a certain of image of me that has stuck, so I am restricted. Here, I have nothing to lose, so I am free to experiment with my characters. Also, I am aware that I am not really the quintessential hero material. Plus post Raanjhanaa, the scripts that came my way were very similar. Some were actually good, but I just thought they were not apt for me. This wait was definitely long and agonizing, but Shamitabh was the best thing that could happen. Tell us about K.V.Anand's Anegan. The trailer looks very promising. At its core, the film is a love story and shows how love finds its way against all odds. It is very different from the kind of films I have done in the past. There are different looks and set ups involved. It was definitely one exciting project and will be one of my biggest Tamil releases, with 400+ screens in Tamil Nadu and some 1000+ screens overall, excluding the Hindi version. I couldn't have asked god for anything better (smiles). Did it help having a challenging and emotionally packed film like Raanjhanaa as your launch vehicle, in order to put a firm foot in Bollywood? That film means everything to me. It's like my identity card. Even if I shower the best of praises and compliments on Raanjhanaa, it will never be enough. I am what I am in Bollywood today because of that film. Talking about your beginnings, what was it like being a part of a film family? Its not like the typical film family stories. I have seen my father struggle and work really hard. During his younger days, my father worked in a mill and our family lived in a very small room. We would go days with just one meal. So yes, I have seen poverty up close during my younger days. My father would pen a lot of stories. After working in the mill, he used to come home, write stories and sell it to people, who would then sell the same stories to film makers, calling it their own. It was through one such contact that he got a break in the Tamil film industry as an assistant director. He worked hard for almost 15 years before making his directorial debut. Your journey from a 16-year-old newbie to the Superstar down South has been quite something. Was acting always on the cards? Not really. I was more keen on becoming a Marine Engineer. At 16, I wasn't ready to do get into films and would often cry. My father wanted to start filming within a week and was looking for a school boy to play the role, so he asked me to step in. Today, I am glad I didn't take a step back. It is only with time and a few films down the line that I realized, I cannot do anything else. I suffer from stage fright and just being around people makes me nervous. But, when I am in front of the camera, I feel comfortable. I couldn't complete my education, nor can I speak good English. I haven’t experienced college life. But today, I feel like it hasn't been that bad a journey. 30 films, a National award and being in the industry for more than 13-14 years makes you realize that it has all been worth it. How did you handle the early criticism that came your way? More than the critics and my work, I was more worried about how my friends or relatives would talk to me. In addition, I knew that my looks would be criticized. But being a director’s son, I understood that only the script and your performance matters, not looks. The script, that may look like mere pages, can create a star out of an actor, no matter how he looks. And the same can bring him down too. So, I don't think about criticism, competition or anything. I just put my blinders on, read scripts, focus on the projects and allow my work to do the talking. Has the pressure of being Superstar Rajinikanth's son-in-law affected you? It doesn't affect me. I am a huge, huge fan of him. I have always been happy to be his son-in-law and our relationship is extremely precious to me. Call me his son-in-law, fan or even a driver, it will still be an honor. As for the pressure, I don't really take it. I allow my films to speak for themselves. If the audience likes my work, they will eventually know and appreciate me for who I am. Vela Illa Pattathari was your 25th film down South. After hitting one milestone after another, how do you look back at your journey as an actor? While I can't thank god enough for all that he has bestowed upon me, I feel 25 films is very little for me to turn and look back. Maybe, I will be more comfortable to answer this when I cross 50 films (smiles). 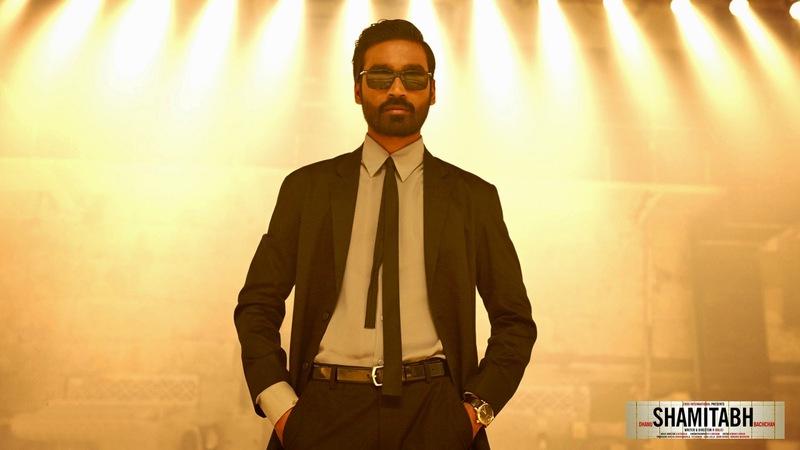 So, what's next for you after Shamitabh? I prefer taking one step ahead at a time and like taking things as they come my way. After Shamitabh, as I mentioned, there is Anegan. Then in Hindi, I will be doing Aanand.L.Rai's next film, which is a love story. In Tamil, I am working with director Balaji Mohan on a family entertained titled Maari, which is a name, the first look of which was revealed in November last year. And then there is my production venture titled Kaaki Sattai, which releases on February 27. From SCREEN to Diary Of A Dancebee, you have indeed come a long way Priya!! A very nice interview of an actor I really admire. He truly justifies that acting is all about telling good stories and performances :) Good Read :) Good luck to you too! !